All Posts Passover, The Sign of Jonah, and "Easter"
What took place each day of Jesus’ last week before His crucifixion? Upon which day of the week was He crucified? And why do we in the Christian church observe His Resurrection with traditions which are mentioned nowhere in the Bible? Jesus is The Passover Lamb. He had to die on Passover at the exact day and hour the lamb was slain. Passover always is the 14th of Nisan, and in the year He died, it fell on a Thursday (just as in 1999). As each lamb was kept up from the 10th to the 14th to be examined for any blemish, so Jesus was examined seven times during this time and found without any fault at all. The day after Passover always is a day of convocation, a day treated as a Sabbath, in which no work was to be done. Since Saturday is the Sabbath, that year there were two days of rest back-to-back. Anti-Semitism and compromise are responsible for the Church straying so far from Scripture and observing customs from ancient pagan sources. The blood on the doorpost and lintel of each house would identify those who trusted in God, so when God smote every firstborn in the land of Egypt, believers would not lose their sons. The LORD commanded Israel to “observe this thing for an ordinance to thee and to thy sons for ever” (Exodus 12:24) because the Passover was a type, picture, of the work of His Son, for JESUS IS THE PASSOVER LAMB. (John 1:29, 1 Corinthians 5:7, 1 Peter 1:19). A. Sunday, the Tenth of Nisan. The Gospel writers were precise and detailed in recording our Lord’s itinerary, encounters, and messages for the last five days before his crucifixion. Following is a summary of their reports, with special emphasis on the fulfilling of His work that week as the Passover Lamb. B. Monday, the Eleventh of Nisan. This was Day Two of Jesus' last week, which we call “Holy Week”. Coming down the Mount of Olives. He cursed the fig tree for barrenness (Mark 11:14). Going into the Temple, He cast out the money-changers, as He had done at the first Passover at the beginning of His ministry (Matthew 21:12-17, Mark 11:15–21, John 2:13-25, quoting Isaiah 56:7. When the chief priests objected to children praising Him as the Messiah, He quoted Psalm 8:2. C. Tuesday, the Twelfth of Nisan. This was a very busy day. Jesus was examined by three groups of people for the most minute blemish or spot, just as Jews throughout the ages had examined each Passover lamb. They were totally unaware of how exactly they were fulfilling the Scriptural requirements! First Examination: Herodians asked whether it was lawful for the people of God to pay tribute to the Roman government. (Matthew 22:15–22, Mark 12:13-17, Luke 20:19–26). These men, who supported Roman rule, were silenced and “marveled”. Turning the tables, Jesus questioned the Pharisees concerning His Deity, denounced woe upon them for hypocrisy (Matthew 22:41–46, 23:1–36), and pointed out that the widow’s mite was a greater percentage than all the money cast into the treasury (Mark 12:41–44). Leaving the Temple and going out to the Mount of Olives, He gave “The Olivet Discourse” on the end of the world (Matthew 24:1–25:46), including the parable of the Ten Virgins and the Talents, concluding that “after two days is the feast of the Passover, and the Son of Man is betrayed to be crucified” (Matthew 26:2). Mary's Faith and Judas’ Anger. D. Wednesday, the Thirteenth of Nisan. Our Lord had one more day to be with His disciples before His death that, He knew, had to be carried out at the exact time of the sacrifice of the Passover lamb. During that day the chief priests consulted together to kill Him, before the feast if possible, considering it a stroke in their favor that Judas offered to betray Him. (Matthew 26:3-5, 14–16). First, up to 256,500 lambs would be sacrificed for Passover, all at one altar, and two days could have been needed for this task. At this meal Satan entered into Judas, and he “went immediately out: and it was night.” (John 13:30) Afterwards our Lord gave the wonderful teachings found in John 14, 15 and 16, and prayed the High Priestly prayer of John 17. In the light of the full moon they went out of Jerusalem across the Kidron valley to the garden of the olive press, a place well known to Judas, for Jesus often went there. There Jesus wrestled with his own flesh and the devil concerning the agony He would undergo the next day. The battle was so intense that “His sweat was as if it were great drops of blood falling down to the ground”, reports Luke the physician (Luke 22:44). Jesus won that inner battle. From that moment on He was serene and in complete control. E. Thursday, the Fourteenth of Nisan. Passover Day. Fifth Examination: In the morning, the council led Jesus bound before the governor, Pontius Pilate, before whom He underwent His fifth examination, perhaps the cruelest of all. Jesus did not dispute with the governor. He was poised and calm, agreeing that his antagonists’ accusation was true: He was King of the Jews, but His Kingdom was not of this world. Pilate was a coward, and gave in to the demands of the crowd, nevertheless confessing that, “I find no fault in this man” (Luke 23:4). Then, discovering that Jesus was from Galilee, Pilate sent Him to Herod, hoping this ruler, who was in Jerusalem for the feast, would make the final decision to release Him. F. Thursday Evening to Sunday Morning, 13th-17th of Nisan. 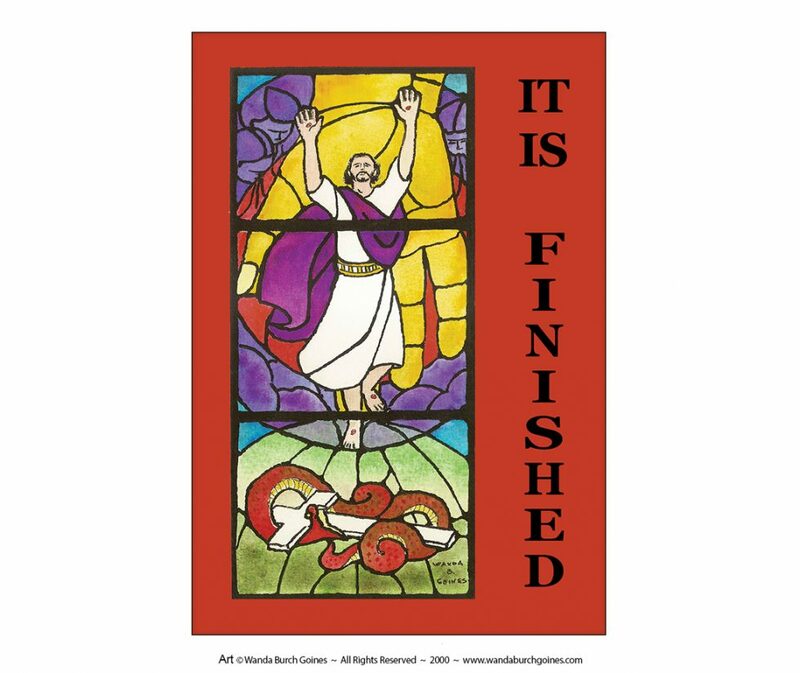 Between the time our Lord was laid in the grave by Joseph of Arimathea and Nicodemus (members of the Sanhedrin who had not been called to the illegal assembly the night before) and His appearance to Mary Magdalene on Resurrection morning. Scripture says very little. However, we can deduce from (Ephesians 4:8–10) (quoting Psalm 68:18) and (1 Peter 3:18–20) that momentous events took place in the invisible spiritual realm during that time. The imprisoned spirits to whom Jesus preached are mentioned in (Jude 6). Jesus told penitent thief that he would be with His Savior in paradise that day (Luke 23:42), which before Jesus became “the firstfruits of them that slept” was the abode of the spirits of the righteous dead. (Luke 16:19-31) The fact that our lord now possesses the keys of hell and death (Revelation 1:18) shows that He had the authority after His crucifixion, having conquered death, to take them from the usurper of this world’s power --- and when did this take place, it's not during the time His body was in the grave? G. Sunday, the Seventeenth of Nisan. Passover was one of the three annual feasts on which every male in Israel was required to appear before the LORD at Jerusalem with a sacrifice. (Exodus 23:14–17) (Leviticus 23:4–11) expanded on how this feast was to be kept. II. The Sign of Jonah. Before His crucifixion, when asked for a sign from unbelievers, Jesus responded that just as Jonah was three days and three nights in the belly of the whale, He would be three days and three nights in the heart of the earth. (Jonah 1:17; Matthew 12:39-40, 27:63; Luke 11:29) The Lord is able to count accurately; He meant exactly what He said. The church has observed Friday as the day of Jesus’ crucifixion for so long that few question its validity, but this day cannot be correct. Starting at the ONE date about which there is no controversy, the day of His resurrection, which was the first day of the week, Sunday (Matthew 28:1, Mark 16:2, Luke 24:1, John 20:1, we count backwards from that morning, when the women came to the empty tomb. Thus three nights would be: Saturday night, Friday night and Thursday night. Three days would be all day Saturday, all day Friday and part of Thursday. How did Friday come to be commemorated as the day of Christ’s crucifixion? Probably because of ignorance. Scripture speaks of the day after His death as being a Sabbath (Mark 15:42, Luke 23:54). Yet (Leviticus 23:6–8) says that the day after Passover always was to be a Sabbath, but this Sabbath, or “Holy Convocation” did not have to be the seventh day of the week. In the year Jesus was crucified, Passover came on Thursday (just as it does in 1999), giving that week two Sabbath’s in a row. The last day of unleavened bread, which began the day after Passover and continued for seven days, also was a Sabbath, and treated as a Holy Convocation of the rest – – and that would have come on Thursday, making to Sabbath’s that next week also, with Friday in between. III. Our Present Celebration of “Easter”. The first Christians, most of whom were Jews, observed the Feast of Passover for eight days. Even when Gentiles joined their number, there was no trace of a yearly festival of the resurrection among them, says Alexander Hyslop, for this was kept every Sunday! They met at sundown after the Sabbath to celebrate the living Lord’s resurrection on the first day of every week. This explains (Acts 20:7–12), where on the first day of the week Paul preached until midnight, and young Eutychus fell down from the third loft and died. He lived when Paul prayed for him. Paul then continued preaching until daybreak – – which starting at eight in the evening would have been about ten hours. Remember, the Jewish day begins at sundown (when three stars can be seen in the sky). The next day is a regular workday: the early believers could not have stopped work in order to worship, anymore then we could take off each Monday: they had to gather in the evening. And Sunday evening was the beginning of the second day of the week. Then how did observance of the Passover, with the following offering of firstfruits, change from a Scriptural celebration to the “Easter” we celebrate today, with eggs, rabbits, hot cross buns, and (in many churches), 40 days of Lent? A. In the Beginning: Distrust and Compromise. Christianity was a Jewish movement in the beginning, says Dr. Dwight Nelson, but Ceasar, not distinguishing between them, banned Jews and Christians alike from Rome. As years went on, these groups came to distrust one another and grew farther apart. When the Jewish religion was declared illegal, Christians distanced themselves from anything Jewish, and as the influence of the Roman church grew, compromise became the order of the day. Under Emperor Constantine in 313 A.D., Christianity became the state religion. In order to draw all peoples under its umbrella, and make it appeal to every pagan cult in the vast empire, Gregory the great wrote, in 597, that Christian missionaries “should not try to put down pagan customs ‘upon the sudden’, but adapt them ‘to the praise of God’”. (Life book of Christmas) It opened the door for Satan to put his foot in, and spring it wide open. B. The Legacy of Babylon. Our celebration of Easter goes back at least 4,500 years to ancient Babylon, from which all idolatry stems. The winter solstice was held by the Babylonians (followed by Greeks, Romans, Persians, and countless others), to be the “birthday of the Unconquered Sun”. This date was set for December 25. Semiramis, wife of Nimrod, became known as the mother–goddess of this spurious sun god, and was called “Ishtar”. (“Woman”, in Hebrew, is “Isha”: she was lauded as the “woman” of (Genesis 3:15) who would bear the Seed Who would save the world.) Nine months before December 25 is March 25, the supposed date of the miraculous conception of this “sun god”. Which brings the celebration of “Ishtar”, or “Easter” to nearly the same date as Passover (March 25 is called “Lady Day” in Great Britain. They probably do not know it is an honor of Ishtar.) At the Council of Nicea in 325, in order to divorce the date of the Resurrection as far as possible from the third day after the Jewish Passover, “Easter” was set as the first Sunday after the first full moon after the vernal equinox. C. The Worship of Ishtar. Ishtar was worshiped with eggs, because an egg of wondrous size was supposed to have fallen from heaven into the Euphrates River, fishes rolled it to the bank, doves hatched it, and out came: Ta Da! Ishtar, also known as the love–goddess, Venus. The egg had two meanings, both connected with the Flood of Noah. It represented the Ark, which either carried the entire known world in its shell (called his “mundane egg”), or Ishtar, (Astarte, or Ashtoroth, of (Judges 2:13, 1 Samuel 12:10, and 1 Kings. 11:33)) who as a goddess, passed through the flood in an egg. The ancient Druids used eggs as the sacred emblem of their order, long before Christianity. In pagan Athens, an egg was used in the worship of Bacchus, the god of drunkenness. Hindus and Japanese have golden or bronze eggs. Chinese paint or die them for sacred festivals. Egyptians and Greeks hung eggs in their temples for mystic purposes: all in remembrance of Ishtar of Babylon, and her miraculous appearance in an egg. The hot-cross buns which used to be eaten traditionally at Easter are the cakes used in worship of the queen of heaven 1500 years before Christ, which God spoke so strongly against in (Jeremiah 7:18 and 44:15–19). They were made of fine flour and honey. To get the pagans to except nominal Christianity, the festival of Tammuz and the Resurrection of Christ where thus joined. Even investing Lent with the significance of Christ’s 40 days of temptation in the desert does not make it a Scriptural practice, for this has absolutely nothing to do with His Resurrection.